Gilas Pilipinas returned to international competition in convincing fashion, embarassing the Chinese Taipei team in front of its home crowd, 93-71, in the FIBA Basketball World Cup Asian qualifiers held at the Taipei Heping Basketball Gymnasium. Four-time PBA MVP June Mar Fajardo led the way with a FIBA career-high 22 markers on 75% shooting (9/12), while Andray Blatche seemed to have regained his form, stuffing the stat sheet with 13 points, 14 rebounds, five assists, three steals, and two blocks. 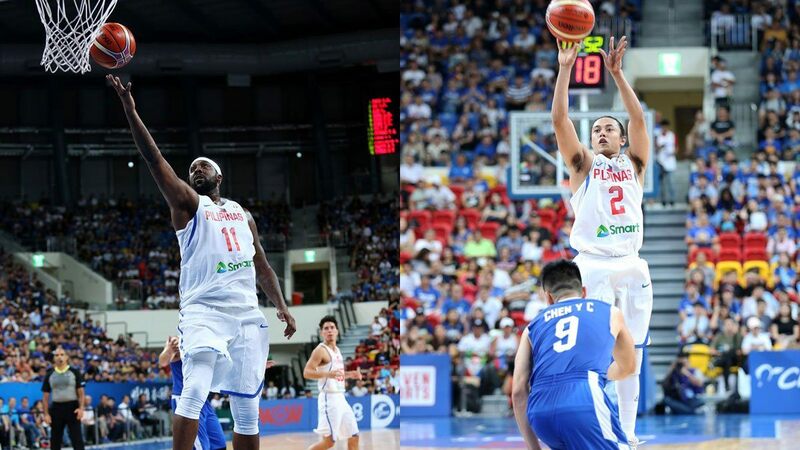 In the first game of his Gilas comeback, Terrence Romeo scored 14 and had six dimes off the bench, while Jayson Castro (15 pts 4 ast) and Gabe Norwood (8 pts 5 stl) steadied the ship. Quincy Davis was the top scorer for Chinese Taipei with 17. Following the decisive win, fans and fellow players showered the national team with praises.